In OpenStack all-in-one configuration all OpenStack nodes (controller node, compute node, network node) are installed on a single machine. All in one configuration can be quickly deployed for testing purposes and is often recommended for developers to test their applications on top of OpenStack environment. In this tutorial we install OpenStack Newton release from RDO repository including Heat Orchestration service on single node (all-in-one installation) based on CentOS 7 / RHEL 7 using packstack installer script. * File /root/keystonerc_admin has been created on OpenStack client host 192.168.2.26. To use the command line tools you need to source the file. * To access the OpenStack Dashboard browse to http://192.168.2.26/dashboard . * Because of the kernel update the host 192.168.2.26 requires reboot. For our installation credentials are: admin/2ecd8d71c2ca4e0f. Since br-ex interface is supposed to act as external/public/provider network interface, we need to transfer IP address from eth0 to br-ex and attach eth0 as a port to br-ex in OVS switch. Note: above command will trigger network restart, so you will lose network connection for a while. The connection should be brought up again, if you modified ifcfg-eth0 and ifcfg-br-ex files correctly. Verify the final network setup. 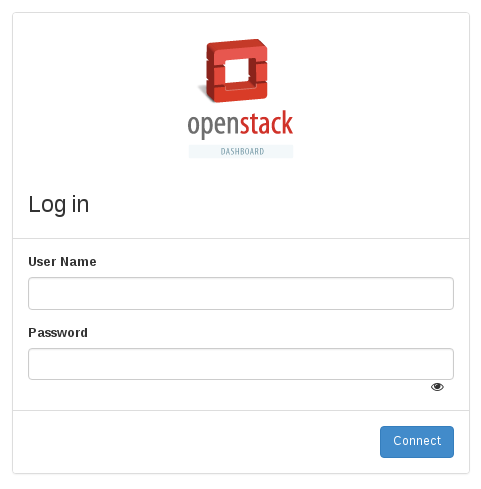 We have finished installing OpenStack Newton All In One with Heat Orchestration Service on CentOS 7. Now, when our OpenStack cloud is ready to work, we can try to create Tenant and launch Instances to test, if internal/external connetivity is working. Please refer to this article: Create Tenant in OpenStack and launch Instances. Why you did not mention that user need install ovs bridge package first? It does not work without it. Network service throws “Network is unavailable”. Tested on two different servers. Result is the same. Hello, of course YOU DON’T NEED to install OVS Bridge before OpenStack based installation, OVS is installed by packstack along with other stuff. How did you come up with this idea that you need to install OVS separately? But as it turned out the problem was in naming of eth0 network interface. In another manual i have found that one guy tried create bridge with eno-* network interface. But i have not such in my list. ) That is why i again assumed that i need setup some extra packages to be able to add the bridge and port so as i was not able to do it till this moment and got all the time “Network is unavailable” error because of misconfiguration of network interface files. But it is a long story and i still can not understand why do we need add the bridge only after openstack is installed but why we did not do this before that moment? It little bit confuses. Hi, it looks like a bug that I encountered many times, OVS was installed during packstack installation, so OVS commands are present in the system since packstack execution, but for some reason br-ex was not created in OVS, you have to recreate it manually. The name of the interface, weather it’s eno or eth depends on you udev rules and how the system recognizes network interfaces. We need to add bridge to OVS after openstack installation, because that’s when OVS (openvSwitch) is installed, you can not do it before, unless you are not installing whole openstack manually service by service. Thanks alot..very well documented & presented steps. Perfectly worked for me on the second attempt. Kudos! Including Heat orchestration was the best thing. Yes, most likely you can do it this way, I tried this solution few releases ago and it didn’t work properly, don’t rember the details. Anyway thanx for reminding me about it, maybe I will give it a try in Ocata. All the installation was done but I can’t access the webinterface. I guess the configuration is using 127.0.0.1 instead machine IP. To be honest I really doubt it’s using 127.0.0.1. Can you first check from controller if the website is responding? You can use curl or some command line web browser, i.e. : lynx, please let me know if the dashboard responds locally from controller.